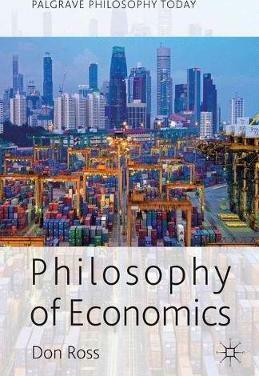 Don Ross provides a concise and distinct introduction to the philosophy of economics for students in need of a short but engaging study of the main issues in the subject today. Ross offers his own provocative interpretation of the value of economics in science and public policy giving a unique perspective from a world authority. Illustrations note XVII, 341 p.
Don Ross is Professor of Economics and Dean of Commerce at the University of Cape Town, South Africa, and Program Director for Methodology in the Center for Economic Analysis of Risk at Georgia State University, USA. He previously lectured at the University of Alabama at Birmingham and the University of Ottawa. He is the author of many previous articles and books on economic methodology, philosophy of science, and experimental studies of risky choice.